The gutters on your home are important parts of the house that are sometimes not included and often taken for granted. Even though the Colorado Springs area is semi-arid and doesn’t get much rain, gutters are an important part of your home’s structure. Gutters can often help preserve the outside finish and can help the foundation, keep your home’s roof and trim fascia in great shape by moving rainwater away from your home. Many homeowners don’t realize the importance of gutters – until there’s an expensive problem that probably could have been prevented by regular gutter inspections and maintenance. It’s important to note that your gutters can play an important part in preserving your home’s foundation. By directing the water away from your foundation, your home’s gutters play an important part in keeping excessive water away from the foundation, helping to prevent deterioration and water leakage into your basement. Over the years, water seepage around and into your foundation can actually cause your foundation to crack, shift and crumble as the water works its way into tiny cracks and pores of the concrete and freezes. 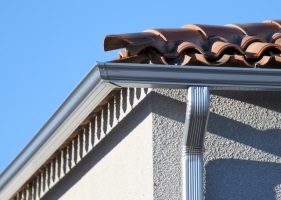 Without gutters Colorado Springs, your home’s foundation is at risk. 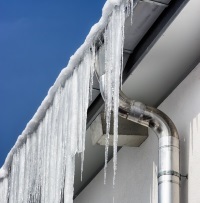 If your gutters are in poor condition you are also risking major structural damage to your home’s foundation, possible costing thousands of dollars in repairs. Moldy, wet and or damp basements can be prevented with a well-designed gutter system that directs water away from your foundation. Heavy spring rains can inflict damage on your home if your gutter system is not up to handling the water volume. Click HERE for a FREE Estimate! One thing that a gutter system in good shape can do well is to help preserve your beautiful and expensive landscaping. By directing excessive rainwater away from your home and landscaping, your gutters can easily prevent your expensive landscaping from washing away. I can’t tell you how many times I’ve seen beautiful beds of rocks, mulch and even decorative plants that have been washed away by rain water that should have been directed away by a good gutter system. 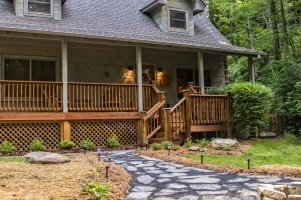 Even if you haven’t spent a lot of money on landscaping, keeping your gutters in good shape will help preserve the landscaping and nice looks that you do have. Even if you do have gutters on your home, leaking gutters can contribute to the trim and fascia boards rotting away over time. This is one of the most common results of damaged and leaky gutter systems on homes in the Colorado Springs area. While the gutters and fascia boards might look fine, from a distance, closer inspection often reveals massive wood rot right under the gutters Unfortunately, this rotting problem is often hidden and overlooked by the homeowner. Eventually the rotted trim and fascia will fall off and more damage to the home’s actual roof structure often happens. Then, the fix is an expensive one and your insurance will probably not pay for the damage because leaky gutters are a maintenance issue. We’ll talk about how to clean your gutters, but first it’s important to note why it is necessary to keep this part of your house in tip top condition all the time. 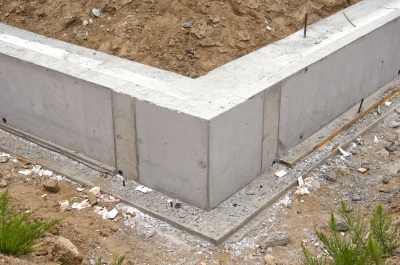 seep into the material encourage the growth of tiny plants like algae or moss. Water running down the side of the house can cause discoloration but more importantly, it could damage the paint and siding of the house. Wood when wet would rot and lose its integrity, and you might not notice this until it is too late. Water can also work its way to the ceiling, damaging the wood. If the gutter is left uncleaned, the accumulated debris adds to the weight of the gutter. Wet debris is heavier and could cause the gutter to fall off and might even smash a window. Gutter replacements are not exactly cheap so make sure you clean your gutters regularly. Clogged gutters can cause flooding in basements and cracking in your house’s foundations. Make sure that your ladder is secure. 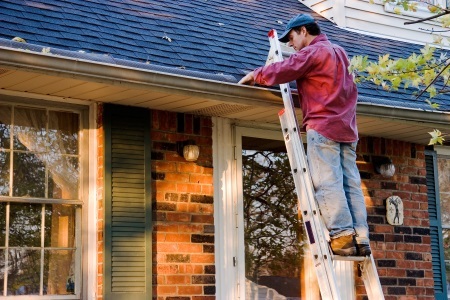 Use a ladder stabilizer to keep from damaging the gutters. Wear safety goggles, dust mask and gloves. 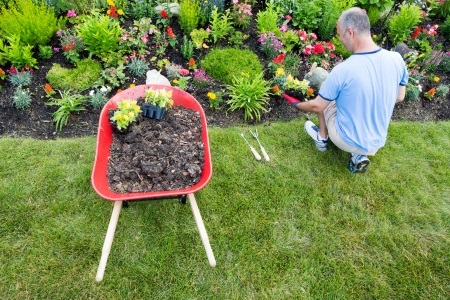 Utilize a garden trowel or hand rake to scoop out the debris into a garbage bag. You can use a bucket but it could get heavy as you make progress and would make the task difficult. Small garbage bags are ideal as they are easier to manage, just tie a bag when it’s full and drop it to the ground out of the way. When scooping out dirt and debris, be careful not to let any fall down the spout because it could create a clog. After scooping the dirt, rinse toward the downspout with a high pressure nozzle. Be careful not to spatter the siding as you rinse. Use hose to clear the downspouts. Avoid clogs in the downspouts by installing leaf strainers. Gutter cleaning is a low cost way to maintain your gutters. 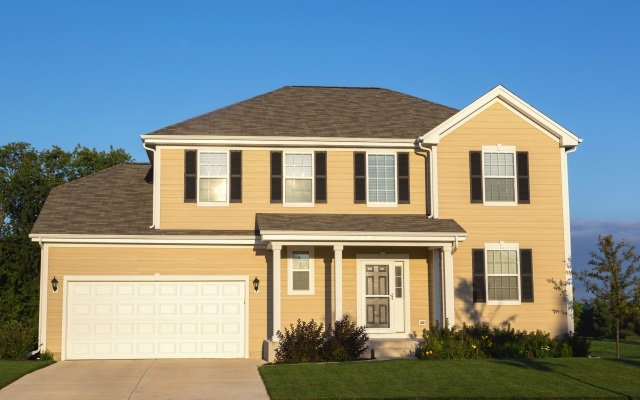 Unnecessary expenses can be avoided by taking proper care of your gutter and roof. Now that you know a LOT more about the importance of your home’s gutters, why not call a gutters Colorado Springs expert to help you repair and maintain your home’s gutter system? The money spent on proper maintenance and small repairs can far outweight the eventual cost of big repairs in the future. Give us a call or contact us HERE for a free estimate!